to educate and interest the public in music, particularly choral music, by the presentation of concerts and other activities. The original membership of 40 has now increased to around 90, with singers coming from a wide area of South Nottinghamshire, North Leicestershire and Lincolnshire. The choir performs three concerts in each season, including an ever-popular Christmas concert. We also hold a Singing Day workshop in early spring, extending a warm welcome to all-comers. In 2017 we were very honoured when John Rutter agreed to run our Singing Day - predictably a huge success. Over the years, we have worked successfully with other choirs, internationally and locally, including the Kortriik Vocaal ensemble from Belgium, the Mansfield, Scunthorpe, Newark and Southwell Choral Societies and St Peter's Choir in Nottingham. Neville Ward retired as Musical Director in 2015 after 43 years of dedicated and inspirational work, and we also said goodbye to our brilliant accompanist, Roger Bryan. We were incredibly lucky to attract another talented team to succeed them. Guy Turner, our Musical Director, and Edward Turner, our accompanist, have established a happy partnership with the choir, enabling us to continue our musical journey. Edward has begun to share conducting responsibilities in rehearsal and in performance, introducing his own distinctive style. Our concerts under Guy's watch have included much-loved works that are almost universally recognised, notably the Verdi Requiem and the Fauré Requiem, but we have also been able to present beautiful pieces that may be new to our audiences, such as Pergolesi's Magnificat and Poulenc's Gloria. We continue to look to the future with confidence and a sense of adventure. PAST CONCERTS HAVE INCLUDED . 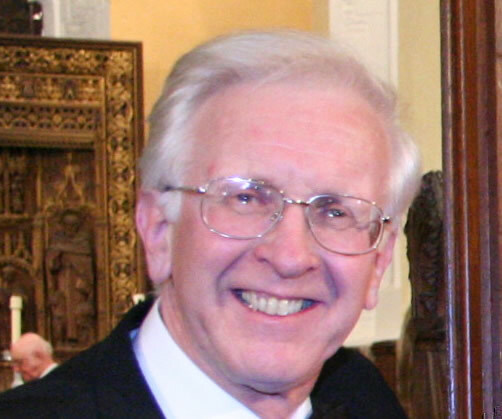 . .
Neville Ward was Conductor and Musical Director of Bingham and District Choral Society from its inception in 1972 until he retired in 2015, a total of 43 years. He studied clarinet and bassoon at the Royal Academy of Music, then taught music in Halifax before moving to Bingham, where he was Head of Music at Toot Hill School from 1969 until 2001. He started a choir at Toot Hill, which gradually grew and became a Choral Society. He has also been a conductor of several other choirs in the region, as well as an orchestral conductor, including professional orchestras on some occasions. He has also worked with leading professional soloists, both vocal and instrumental, and has trained choirs for performances with professional conductors. As an accomplished piano player, he has also accompanied in concerts and recitals of all kinds. Because of his distinguished record, Society members agreed unanimously to appoint him as Life President on his retirement as Musical Director. Guy Turner studied Music at Cambridge, where he sang in Clare Choir under John Rutter, and founded the St Michael’s Singers. He was a music teacher for thirty-one years, in Surrey Comprehensives, a Somerset Further Education College, and latterly in the private sector. During this time he also conducted the Tudor Singers (with whom he appeared on TV and Radio) Egham and District Choral Society, and Surrey Heath Youth Orchestra. He assisted with the foundation of Surrey County Youth Choir and then in 1992 founded the Somerset County Youth Choir. He sang in the choir of St John the Baptist, Yeovil for ten years before seven years as the church’s musical director. School and College teaching gave him the chance to MD for Musicals such as Sweeney Todd, West Side Story, Chicago and Fame. In 2008 he moved to Nottinghamshire to take up a post singing in the Cathedral Choir at Southwell Minster, where he remains. In 2010 he left teaching and now pursues a freelance career which includes being the Archivist if the Eric Thiman Collection, the Secretary of the Southwell Music Festival, a member of the Southwell Minster Choral Outreach team, and a question writer and verifier for TV quizzes. He also teaches theory and composition, plays piano and restaurants and sings (both chorally and as a solo comic song performer) when anyone is prepared to pay him. He is Assistant Conductor of the Cecilian Singers (Leicester), one of the premier chamber choirs of the Midlands. Throughout his career he has also been an active composer and arranger, with works ranging from a Requiem and other choral works, to comic choral numbers such as the well-known Tequila Samba (OUP Encores for Choirs), and arrangements such as his Over the Rainbow, (OUP In the Mood), which has become a concert standard. A book of his light choral pieces, Potato Music , was published in 2012. He has had a long-standing relationship with the international close harmony group Cantabile (The London Quartet), who have performed his music all over the world, and on CD, TV and Radio. He has written two full-length musicals, including his adaptation of Terry Prachett’s Wyrd Sisters, which was premiered in 1995 in the presence of the author. Locally his music has been performed by the Southwell Cathedral Choir (on Radio 3), the Nottingham Harmonic and the Nottingham Bach Choir, who premiered his Songs and Legends of Robin Hood in 2015. Edward currently holds the position of Assistant Director of Music at Derby Cathedral where he accompanies the Cathedral Choir and directs the Voluntary Choir. Edward’s musical career began as a Chorister at Southwell Minster. Towards the end of his time there he began organ lessons with the then Assistant Organist, Simon Bell, and continued with his successor, Philip White-Jones, until he finished school. While at The Minster School, he studied piano with David Wilson and Richard Meyrick (of The Piano Studio, London) and gained the Trinity College Associateship diploma on the piano with distinction. In 2010, he went up to read music at Worcester College Oxford where he held the position of Organ Scholar for three years, involving the full day-to-day running of both the Boys’ and Mixed Chapel Choirs, sharing the playing and directing with the other Organ Scholars and under the supervision of Stephen Farr, with whom he studied the organ and gained his Associateship of the Royal College of Organists. During his time there, the choirs recorded three CDs, broadcast twice on the BBC and performed at the Cathedrals of Newcastle, Southwell, Winchester and St. Paul’s, London, as well as a number of other venues, and toured abroad to Brussels and France. 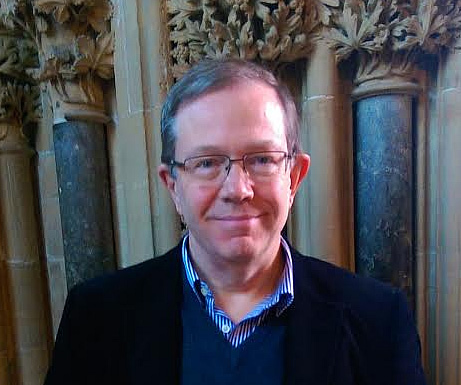 Upon leaving university, Edward was appointed Organist in Residence at Dean Close School Cheltenham and Organ Scholar at Tewkesbury Abbey where he accompanied school services and concerts, and also assisted with the playing and directing of the daily services of Tewkesbury Abbey Schola Cantorum under the tutelage of the Abbey Organist, Carleton Etherington. 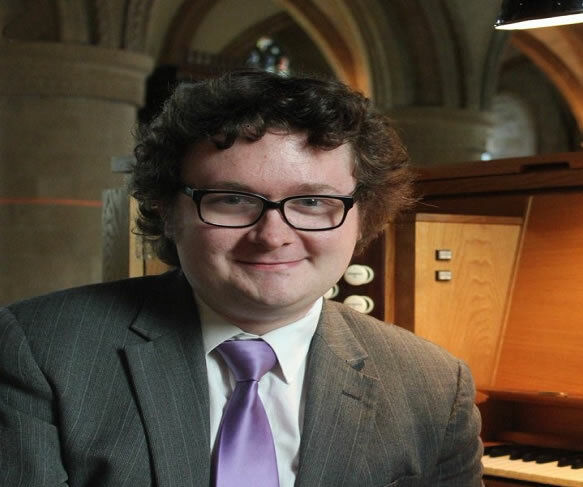 He returned to Southwell Minster as Organ Scholar in 2015 where he accompanied the Girls’ Choir and Chorale in their weekly schedule, and recorded a disk with the Girls and Lay Clerks. He also held the post of Acting Assistant Director of music for two terms during the Rector Chori interregnum. Despite a busy schedule as an organist, Edward also finds time to continue singing and has deputised as a Lay-Clerk at numerous Cathedrals and currently sings with the Hogan Ensemble.